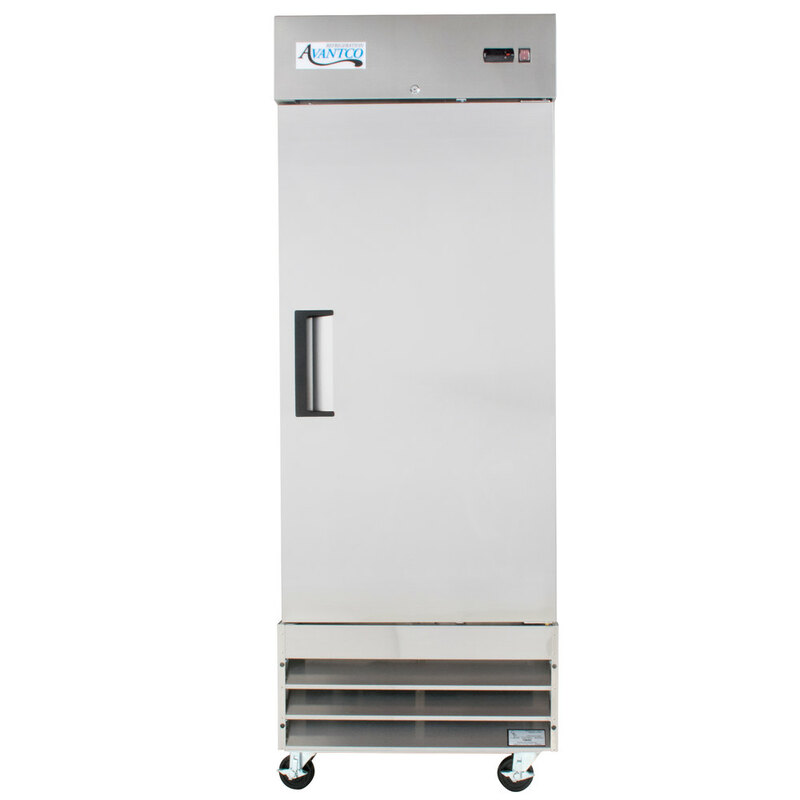 Your establishment relies on refrigeration for proper food safety, and with this Avantco A-19R-HC 29" solid door refrigerator, you receive performance you can depend on! A painted aluminum interior gives you increased durability, while a 430 stainless steel door and exterior sides give it a sleek appearance. For convenience, 3 epoxy coated shelves feature shelf clips for customization when desired. Super roomy reach in refrigerator. I love it and it keeps food really cold. I personally like to take the shelves out of it and replace them with the speed rack style shelving! i like the refrigerator. but it is very loud. if you have a small kitchen this will store everything you need. 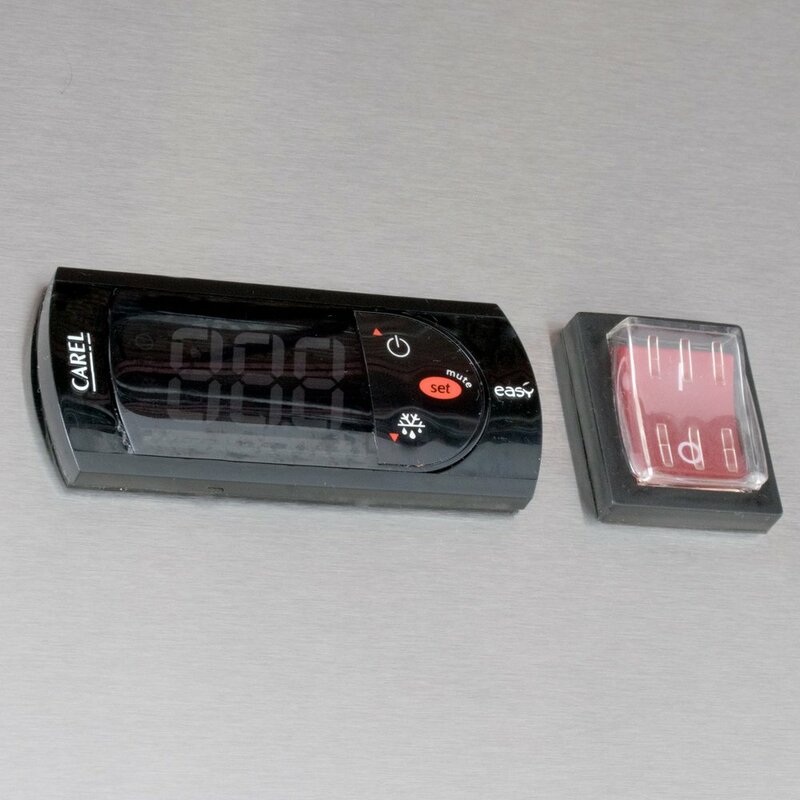 i also like the digital thermometer . The epoxy shelves are really nice looking and easy to clean. I like the easy to read thermostat on the front and easy on off switch. Easy to clean the inside. Outside is not as easy to clean. Digital temp is a nice feature. I wish it came with one more shelf. Ordered this for a client, came in well packed and not dented. We had to wait to install as the remodel wasn't finished but wanted the equipment before we were finished in case something happened. Start up went great and the owner likes this product. Has been in use in a Classroom for close to a year now. Great size! True to description. We like the fact that it has a lock system set in place. Runs efficiently! I have owned it for a few months. Not a big fan of this for one reason in particular. The suction to open the door is quite difficult to open. Its a hit or miss. Can be a bit embarrassing in front of customers when you attempt to open it and you don't look "strong" enough. Some times we wait, other times we have to hold the entire unit still to pull the door open. I enjoy this product because it a perfect fit for the small preparation area i own. It allows me to store all my merchandise and keep it fresh. This refrigerator has worked great. Our food stays at the proper temperatures and the food print of the unit is quite small. Definitely worth the price. Very good refrigerator , big enough to fit many items, same time its slim, very nice i love it , key to lock it is great too..
Great refrigerator. 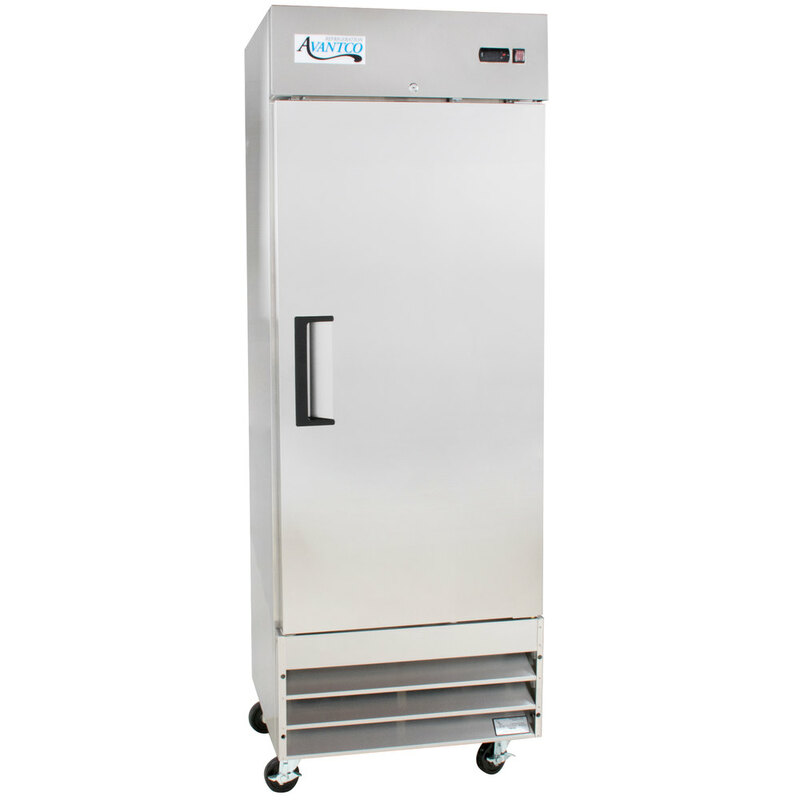 Fits into our space perfectly, looks very professional, gages work very well, runs ice cold, enjoy the interior light and large casters. would highly recommend. the best refrigerator in the game! 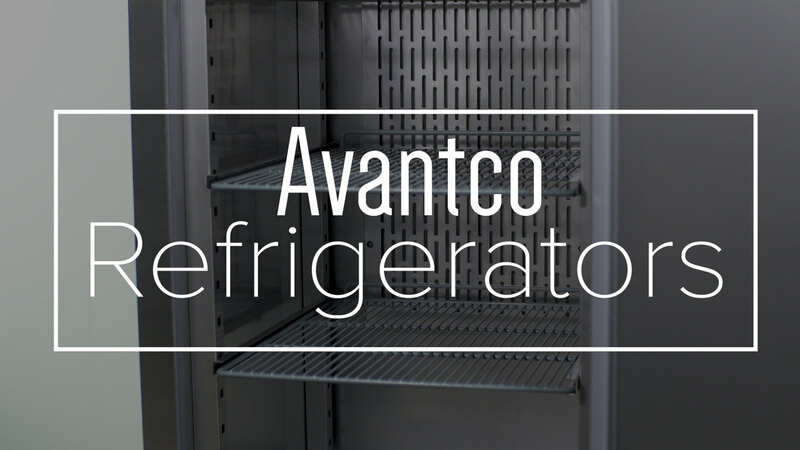 Whether you’re storing meat, seafood, salad, or ingredients for your most popular recipes, the Avantco A-19R-HC is perfect for your small restaurant, cafe, or bakery. 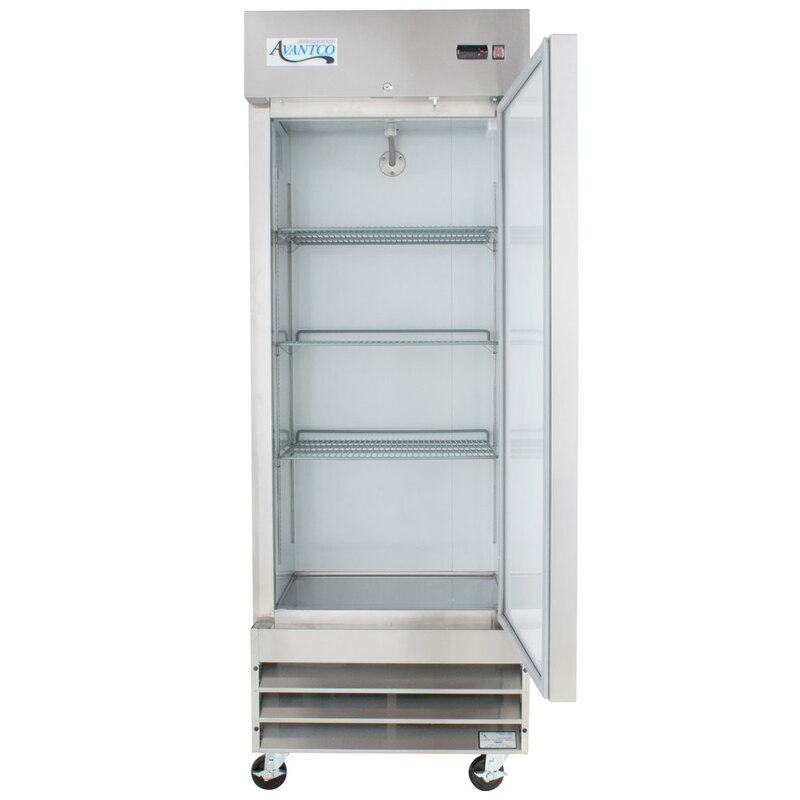 This unit has a spacious cabinet with multiple adjustable shelves, but it's still small enough to fit in places where larger units would not.